You drink Coffee. We plant Trees. 1 – The first Europeans to arrive in Rio de Janeiro cut the forest for firewood and construction. Then lower areas were slashed and burned to clear land for sugar plantations. When coffee was brought to the area in 1760, further swathes were cut to create plantations. By then, deforestation had destroyed Rio’s watershed. In 1861 one of the world’s first environmental restoration projects was initiated when the imperial government of Brazil decided that Tijuca should become a rainforest preserve. Brazilian Emperor Dom Pedro II assigned the enormous task of replanting the entire forest to a military commander. With the labor of 7 people (unknown slaves) they took saplings from other areas of the Atlantic Forest and planted native trees with a selection of exotics, in less than 13 years. In 1961 Tijuca was declared a National Park. 2 – The 5,000 trees we’ve given back to the land over the last years were planted in the Vale do Paraiba, São Paulo state, Brazil. The very area pictured in this photo from 1882, showing slaves working in coffee plantations of the denuded rainforest. Some of the people receiving the trees now, could be descendants of people who had worked in these fields. Both land and people are healing. Now, you can receive 2 bags of organic coffee beans as a gift of gratitude for supporting our goal of creating new rainforest tree nurseries in areas where people want more trees to restore their aquifers. And coming from you, through us, recipients will use only the labor of love, for their own health, water and land to care for the trees. It’s taken years to find an organic Brazilian coffee company to partner with our reforestation project. Years. 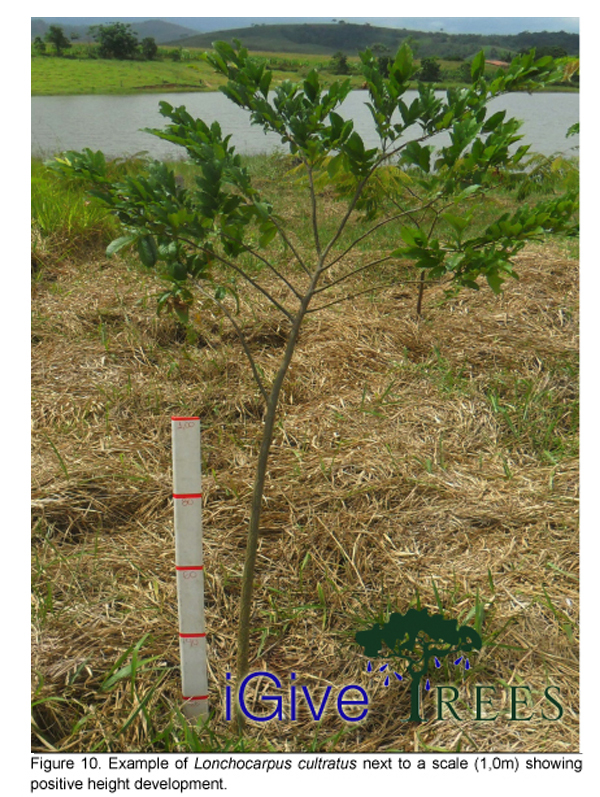 This month we’ve successfully made the first deliveries, via our new “I GiveTrees is Building a Rainforest Tree Nursery” campaign on Indiegogo! If you’d like to receive 2 bags to help us keep planting trees in former coffee country, just click here to go directly to a payment page. We can only ship within the USA. Finally, coffee that restores the rainforest. And hope. Over the last six years of rainforest renewal projects in Brazil, I’ve had to dig deep to keep finding hope for our beautiful planet’s future. Once a haven of biodiversity, 93% of Brazil’s Atlantic Rainforest has been destroyed during the last centuries, resulting in heavily populated areas like the city of São Paulo, to suffer from an epic drought in 2015. Mining the history of Rio de Janeiro, the city where I was born, for a glimmer of hope, I found one: the story of the restoration of the Tijuca Forest. It surrounds the iconic statue of Cristo Redentor, atop the mountain of Corcovado that represents Brazil to the world. ￼The first Europeans to arrive in the area cut down trees for firewood and construction. The lower areas were slashed and burned to clear land for sugar plantations. When coffee was introduced to Rio de Janeiro in 1760 further swathes were cut down to install fazendas –– plantations. But the deforestation had destroyed Rio’s watershed. Read the full article on It’s All Well and Good Magazine. The flying river is a movement of large quantities of water vapor transported in the atmosphere from the Amazon Basin to other parts of South America. The forest trees release water vapor into the atmosphere through transpiration and this moisture is deposited in other localities in the form of precipitation, forming a virtual river. Deforestation in the Amazon River basin, hundreds of miles away, may also be adding to São Paulo’s water crisis. Cutting the forest reduces its capacity to release humidity into the air, diminishing rainfall in southeast Brazil, according to a recent study… Click here to read more. Massive new study shows that pressures on the Amazon rainforest mean it can no longer be relied on to soak up more CO2 from the atmosphere than it puts out. Two decades ago, the forest drew down a peak of two billion tonnes of carbon dioxide each year from the atmosphere. Now, according to a massive new study in Nature journal by more than 90 scientists, the rate of withdrawal has fallen to around half that total. Click here to read more. Our first gift of trees was delivered to residents of the back country in Cunha, São Paulo, Brazil on Thanksgiving Day, 2010. So as we mark the four year anniversary of the occasion, I wanted to share my feelings of fulfillment from this project with this video preview of the book. THANK YOU for playing your part in this amazing experience. Thanks to Louie Schwartzberg for propagating beauty and hope with his art. See more on his site United Nations Climate Summit films: WHAT'S POSSIBLE & A WORLD OF SOLUTIONS. I once thought that restoring a rainforest was pretty straightforward. Turns out I was mistaken. It’s completely two-faced. One face is that of a simple country person collecting and planting seeds from the Mother trees of their region. The other face wears a protective chemical mask while planting genetically engineered forests. If you read my post “A Silent Rainforest is a Dead Rainforest,” you know how painfully I discovered this for myself during the last few trips to Brazil. In the post I referenced the heart wrenching documentary “A Silent Forest,”. Now a sequel is being made to dive deeper into this shadowy story. Raindancer Media, Global Justice Ecology Project, Three Americas and Earth Links came together in 2007 to produce “A Silent Forest” in which Canadian Scientist David Suzuki passionately and eloquently warned that GE trees could be developed and released if we were not vigilant. Now with GE trees in the ground and the pending release of many genetically engineered tree species, “Synthetic Forests” will be an invaluable tool in bringing the story of this dangerous group of technologies into the public eye. As with GMO labeling initiatives, when people see the facts they can act. CLICK TO WATCH THE FULL VIDEO ONLINE. “Synthetic Forests” shows in detail how GE Eucalyptus and GE Poplars, combined with the search for higher profits, will accelerate the devastation of indigenous communities and native forests. Deforestation, loss of biodiversity, pesticide use as well as increased water use and contamination will follow the release of GE trees. Pollen from GE trees, whether in the Southern US or the Global South could contaminate non GMO trees and will be inescapable for many people as pollen can drift hundreds of miles. Inhaled pollen could take away our choice to live GMO free, perhaps forever. It’s a powerful way to show the world who’s behind the protective chemical masks. It may not be who you think it is. And, you might be supporting them every time you go to the supermarket for diapers, toilet paper and tissues. Rio de Janeiro is falling behind on its promise to plant 24 million trees to offset the carbon emissions produced as a result of hosting the 2016 Olympic Games. According to the official counter, just 5.5 million have been planted, and time is running out to get the remaining trees planted before the end of 2015 deadline. Back in September 2012, State Environment Secretary Carlos Minc was so confident of reaching the goal of 24 million trees he increased the target to 34 million. But with less than two years remaining before the set deadline and little more than that until the start of the 2016 Olympic Games, it is looking more likely that this will be another ‘Olympic legacy’ left unrealized. Of the trees to be planted, the majority are meant to be native trees to help restore Rio’s highly threatened yet biodiverse Mata Atlântica, or Atlantic Forest, that covers much of coastal and southern Brazil and which has been deforested to just 7% of its original coverage. Reforestation of degraded land is an expensive exercise, costing up to R$10,000-40,000 per hectare (all expenses included) over three years, according to Nicholas Locke, the President of REGUA, an association involved in reforestation of the Guapiaçu Valley in Rio state. It is unclear where the financing for this is going to come from, but the state has previously indicated that the effort would be a public-private partnership, with private companies providing R$500 million to meet environmental compensation requirements or as conditions for receiving environmental licensing. There are two faces of reforestation in Brazil. One is that of a simple country person with her family, bare-footed or flip-flopped, collecting seeds from the Mother trees of their region. They know the trees like they know their own relatives. They sell their seeds for a fair price to an association of nurserymen in the town nearby, who will grow them into trees for sale and wonder why those trees are so hard to sell. It took 5 years for me to uncover the story behind their difficulties and reveal another face of reforestation. The other face wears a mask. It’s the protective mask of NGOs, cooperating with agro-chemical companies and paper pulp companies. They have the big bucks to fund environmental education, teaching people to make money by allowing genetically modified forests to be planted on their land, or to use their new and “improved” methods for reforestation. 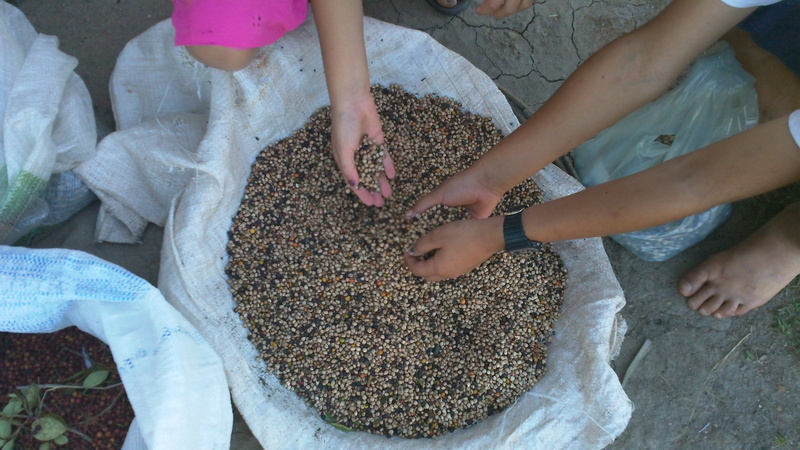 They even make up new ways – like mixing native seeds with genetically modified crop seeds, spreading them together in fields and calling that reforestation. Monsanto calls it muvaca. We can pray that the forces of Nature will prevail over their methods while we strengthen our collective will to reclaim our planet from their profit driven motives. And we can educate ourselves about what is REALLY going on. Many people now know of palm oil use being responsible for rainforest destruction thanks to good guys like Rainforest Action Network. But did you know that the diapers on your baby’s bottom may well have come from the pulp produced by these GMO eucalyptus trees in a once-upon-a-time rainforest? We can crowdfund educational endeavors. The iGiveTrees campaign supports the translation of the documentaries “A Silent Forest” and its sequel “Synthetic Forest” into Portuguese. We can support the small local NGOs and rural associations, to see the bigger picture of what is going on around them, and to stand up for themselves in an informed, empowered and peaceful way. Is this a David and Goliath story? Indeed it is. But remember who won in the end. The Two Faces of Reforestation in Brazil | Care2 Causes. “Genetic engineering (GE) of our food supply amounts to a massive science experiment being performed on mankind, without consent or full disclosure. Although the biotech industry continues to claim GE products are safe, the truth is that no one knows what the long-term effects will be, because no one has done the necessary studies. The loudest proponents of GE are the ones who stand to profit the most, and they don’t seem terribly concerned about the human or environmental costs. What do we know for certain? We know genetic engineering is riddled with unpredictable effects… so we should expect the unexpected. The extinction of large, fruit-eating birds in fragments of Brazil’s Atlantic rainforest has caused palm trees to produce smaller seeds over the past century, impacting forest ecology, found a study published in Science. The researchers looked at Euterpe edulis palm seeds in patches of forest that have been fragmented by deforestation, coffee plantations, and sugar cane fields since the 19th century. They found that palm trees produced significantly smaller seeds in areas of forest that are too small to support “large-gaped” birds like toucans and large cotingas. The absence of these birds means that larger seeds aren’t effectively dispersed, while smaller seeds are more vulnerable to drying out before germinating. The outlook for Euterpe edulis palms — and the species that depend on them — is therefore bleak in these fragments. Fragmentation is having other impacts as well. Research published in Science in September documented a stunning and rapid decline in mammal populations in isolated forest fragments. Mammals suffered from population isolation, degradation of habitat, and invasive species. Rainforest news review for 2013.